5. 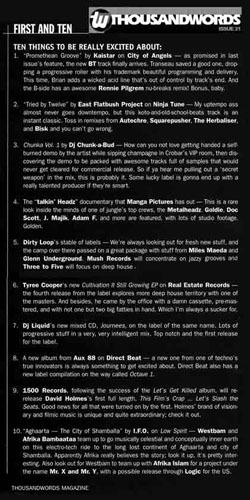 Dirty Loop's stable of labels - We're always looking out for fresh new stuff, and the camp over there passed on a great package with stuff from Miles Maeda and Glenn Underground. Mush Records will concentrate on jazzy grooves and Three to Five will focus on deep house.